If you want to survive the harsh conditions on Hoth, sometimes you have to cut a Tauntaun open and put your friend inside. It’s messy stuff. 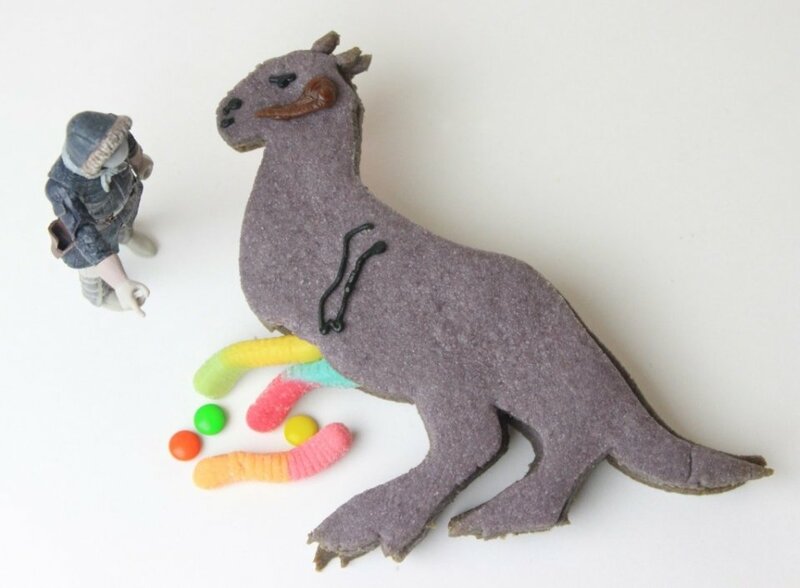 Tauntauns aren’t normally filled with candy, like these cookies are. They look pretty darn tasty to me too. These sugar cookie snow lizards are easy to make. Basically you just stack one on top of another and fill it with candy entrails. You can learn how to make these yourself at StarWars.com and wow your guests with some gummy worm intestines. I guarantee they will smell better than the real thing, no matter if it is living or laying in the snow with its guts spilling out.